JBone88, Joker, LewTheShoe and 3 others like this. JBone88, LewTheShoe, ToyYoda and 2 others like this. Speedbowl14, JBone88, Snappy D and 3 others like this. I think a good place to get an idea would be to look at IMSA to narrow it down a bit. Most of them that would be interested are probably in there I believe. kkfan91 and Charlie Spencer like this. 2022 makes more sense. I don’t want a rushed product out on track in just a few months. These things take time to develop. Especially since the new engine regs can’t come online until 2022 - it doesn’t make sense to debut a new-gen chassis and body with an old-gen engine for one season. Speedbowl14, JBone88, LouieLouie and 5 others like this. The only new manufacturers I could see feasibly entering the sport are Dodge and Nissan. They would be the only ones that would have vehicles that could compete in all three series’. AdoubleU24 and jws926 like this. LouieLouie and Charlie Spencer like this. @StandOnIt , thanks for starting this one. It's a good topic worthy of its own discussion, so the details don't get lost in other ones over the next 20-odd months. yeah I keep reading more and more about the car, they are under a tight deadline, but that is the status quo in manufacturing. 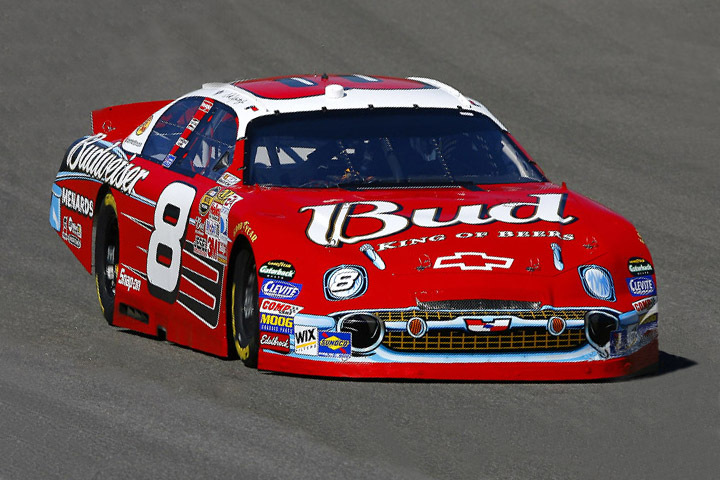 They are getting composite bodies for sure so far, I thought they would, teams like them in the Xfinity series, they are tougher than sheet metal and widely used in other racing series.. Sounds like they are going to base a lot of it off of the current car, no telling how much, but the safety part has been constantly tested and improved so copying that part of the Gen 6 should save a lot of time. Real curious to see if they go to four wheel independent suspension, that would be a game changer if they do. Real curious to see if they go to four wheel independent suspension, that would be a game changer if they do. That would be wild. I'd expect alot of touring car wrenches and engineers to come over. The NASCAR minds would have to re-learn how to go fast and turn left. Revman, FLRacingFan, gnomesayin and 1 other person like this. Yeah who knows, they might standardize the rear suspension, come up with something already being made, or maybe let them do their thing. Either way on road courses some of the outsiders wouldn't have such a big hurdle to learn how to keep them from wheel hopping like an old Chevy pick up I had when you jammed on the brakes. KIA has the Stinger coupe which i think is a good fit with the other muscle cars. But they don't have a truck to support the truck series. Dodge has the RAM and Nissan has the Titan. But who knows what Kia has up it's sleeves going forward. Some new truck they want to promote? Also Honda would be a good fit. They might struggle with the Civic but they have the Ridgeline. But again, who knows what they have up their sleeves? A new muscle car they want to show off? Who knows? I don't see any new manufacturers until after the Gen 7 car is out for a year or two. Kia is pretty heavily invested in their NBA sponsorship, not sure if they’d be willing to throw a bunch of money at NASCAR too. However, I must say the Stinger would make a great looking Cup car. I would love to see side view mirrors and a production looking body! What about actual doors on the car? Do we really still need to get into the car through the window? I thought I remember reading that a long time ago when Dodge was first coming back, but I have no link. That would be nice if manufacturers didn't have to enter all three series but I suspect the truck series would go belly up then. I feel like the Xfinity series now has absolutely no identity now that the camaro and mustang are in the cup series. I suspect the Supra is on it's way to the cup series in a year or two. 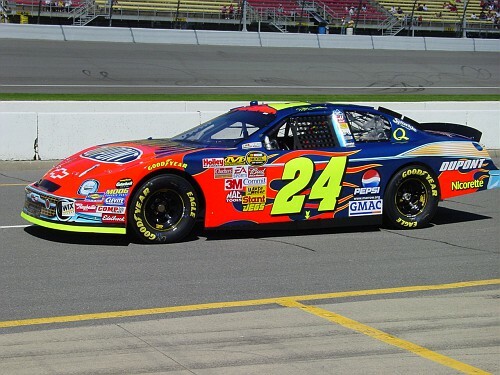 Way off topic, but going way back when, there has been the same looking cars in both series for a very long time FWIW. NASCAR has yet to build a car. There are probably only sketches at this point, possibly something drawn on a computer. None of that will be made public until all manufacturers are in agreement on where to take it. Can they do worse than this? To this day I can't believe that piece of crap ever saw the light of day. You got me. I don't think so, but would be interested to know for sure. I thought Dodge and Toyota elected to join the Truck series first as a means of working out the kinks of a program before moving up. I doubt NASCAR would require it now, as every move they are making seems to be about attracting new manufacturers at the top level. I would think that with the speeds, the proximity of the driver to the door, the number of hard barriers and the amount of contact NASCAR cars tend to have, that opening doors would not be considered. As I tried to explain to some of my "snobbish" sports car friends, NASCAR complies more real world crash data and experience in one season than most other series, even F1 would generate in a decade or more, so they kind of know what works for them and what doesn't. LewTheShoe, Charlie Spencer, Mike Crayne and 3 others like this. One thing I think NASCAR got right was eliminating their tepid version of BOP, where Manufacturer X gets half an inch more here or there because they're too far behind. I know it is essential to how some other series operate, but I hate the politicking and sandbagging that it encourages. I don't see how it can be any different with different looking bodies if they go that way. There is plenty of politicking in IMSA over the very same thing, unless Nascar stays the same with the different front end and everything back is pretty much the same as everybody else. I don't know how successful that would be attracting more OEM's keeping that the same as it is now. True, it's a tough balance. The games that get played are less odious if it is done in the off-season and when new models are approved, and if the decisions are made subject to objective test data and not race results themselves. I can just imagine the day that a manufacturer with no playoff cars goes into "tank mode" as in stick and ball sports to get a break for next season. Basing adjustments off of race results is more "success ballast" than balance of performance, and both are used in different series around the world to serve different purposes. I don't want to get too "inside baseball", but I can say at least in IMSA it's much more formulaic based upon telemetry and data than just lap times or where you finish. Regardless, I think any NASCAR BoP system wouldn't be nearly as complex as most everywhere else because I still expect the cars to remain largely similar to each other compared to other formulas. Best center section ever made. Even though IMSA does a wonderful job, the term sandbagging seems to come up a lot. I like it that way myself, ya never know until the flag drops if it is true or not, and I am not convinced I know it then, it's an interesting twist of cat and mouse to me. KTMLew01, Charlie Spencer and LouieLouie like this. I didn't mind the look of the COT with the spoiler. The wing was the only problem with it. LewTheShoe, Charlie Spencer and LouieLouie like this. Yeah I was thinking that too, but in the modern age you would think we would be able to find a way around this by now. I would also think that this would be a safety item manufacturers might want to incorporate into their road cars if they ever figured out a viable solution. I just keep going back to the horrible bristol accidents and think that there is no way we could ever use doors, but a guy can dream that drivers won't have to go through the window one day! FLRacingFan, ToyYoda and StandOnIt like this. FLRacingFan, ChexOrWrex and LewTheShoe like this.